From now on, all business start-up services will be brought together under one roof as a one-stop agency in the new Bremen START House. The services include the former B.E.G.IN coordination agency, the BRUT programme and the financing and equity services which are now being offered under the umbrella of the BAB and supported by ERDF Bremen. Under the direction of Anke Felbor, the central agency is scheduled to move into its new accommodation at Domshof in the spring of 2019. Entrepreneurs will receive specialist advice and information about financing and training services in the START House, and will be able to talk with experts. The START House will in future be the first point of contact for anyone interested in setting up in business (entrepreneurs, start-ups and young companies). To this end, the B.E.G.IN start-up centre has been merged with the BAB funding bank, and relevant support services – information, advice, coaching, financing, and a few co-working spaces – will be available (in both the physical and the virtual world) at a single site. An attached café provides space to hang out and come up with new ideas. From now on, all business start-up services will be brought together under one roof as a one-stop agency in the new Bremen START House. The services include the former B.E.G.IN coordination agency, the BRUT programme and the financing and equity services which are now being offered under the umbrella of the BAB and supported by ERDF Bremen. Under the direction of Anke Felbor, the central agency is scheduled to move into its new accommodation at Domshof in the spring of 2019. Entrepreneurs will receive specialist advice and information about financing and training services in the START House, and will be able to talk with experts. 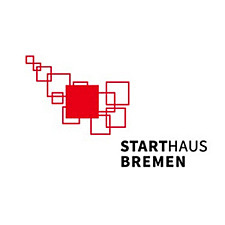 The START House will play a key role in Bremen’s start-up ecosystem. It is both a state-run support agency, the coordination body of a start-up network (formerly B.E.G.IN), a cooperation partner for state-funded institutions, and above all a contact point for private-sector partners. The aim is to increase the level of start-up activities in the State of Bremen. 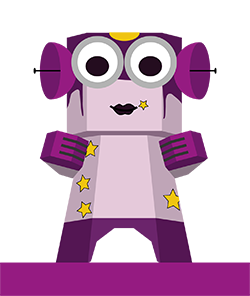 The advisory services provided by the START house create a central contact point for everyone interested in starting up a business – from the start-up through the growth phase to the established company. The START House coaching scheme (formerly BRUT) aims to teach business skills to budding entrepreneurs in a one-year training programme. The participants receive subsistence grants in the form of milestone funding. A specific service for women is also being established in the START House. It is targeted at female entrepreneurs about to start out in business, providing guidance in structured seminars as they take the necessary steps to launch a company in the State of Bremen.